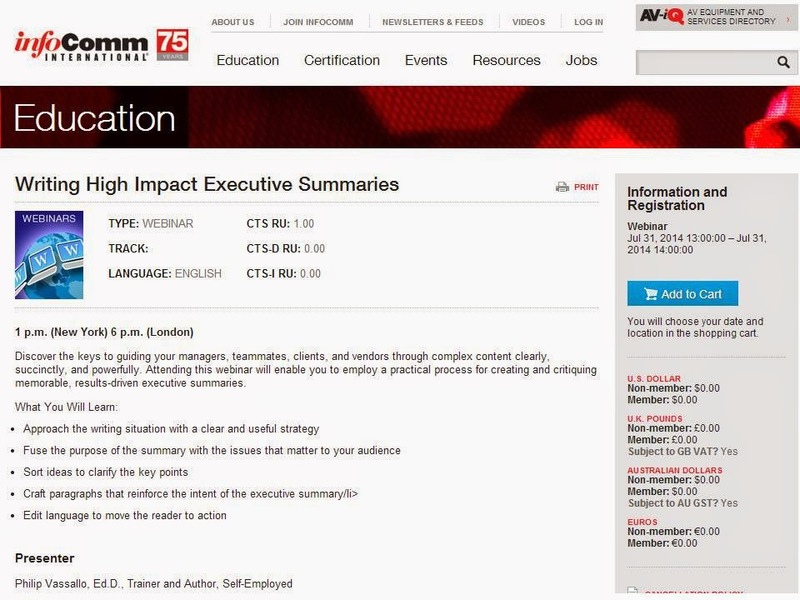 My webinar Writing High-Impact Executive Summaries produced by InfoComm International will run on July 31 from 1:00 p.m. to 2:00 p.m. New York time. This hour-long program will enable you to employ a practical process for creating and critiquing memorable, results-driven executive summaries. You will learn how to convey complex content clearly, succinctly, and powerfully. You can register for this webinar by clicking here. 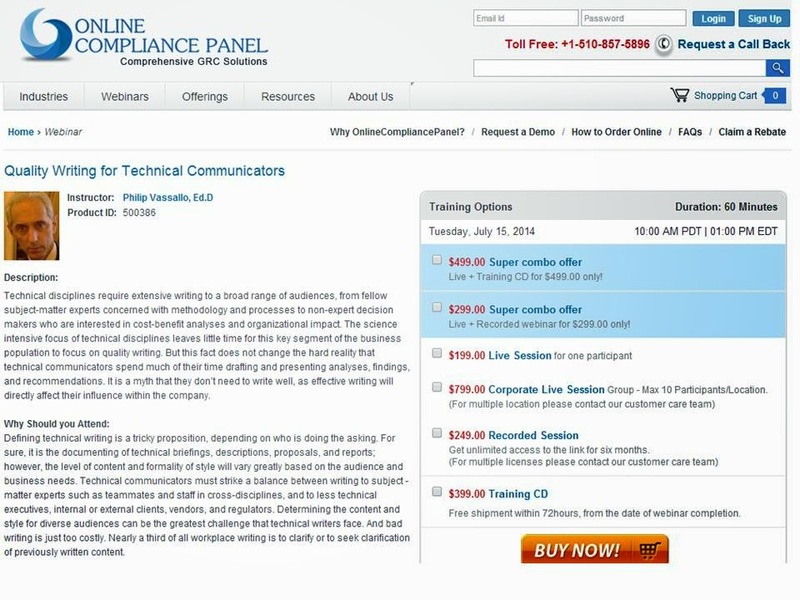 My webinar Quality Writing for Technical Communicators for Online Compliance Panel will run on July 14 from 1:00 p.m. to 2:00 p.m. New York time. This hour-long session is a great investment if you are a technical or scientific writer charged with composing justification, laboratory, procedural, regulatory, or status reports across all levels within and outside your organization. 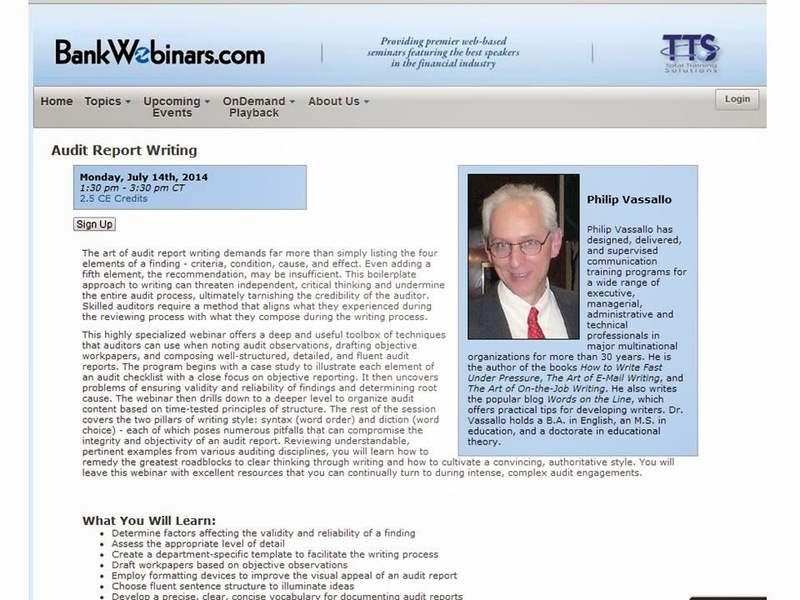 My webinar Audit Report Writing for Bank Webinars will premiere on July 14 from 2:30 p.m. to 4:30 p.m. New York time. It is a must event for junior auditors as well as the senior auditors who supervise and mentor them. The two-hour program will cover issues of great value to auditors, such as drafting objective, comprehensive workpapers, creating practical audit report templates, and developing a clear, concise style for effective reporting. You can sign up for the webinar by clicking here. 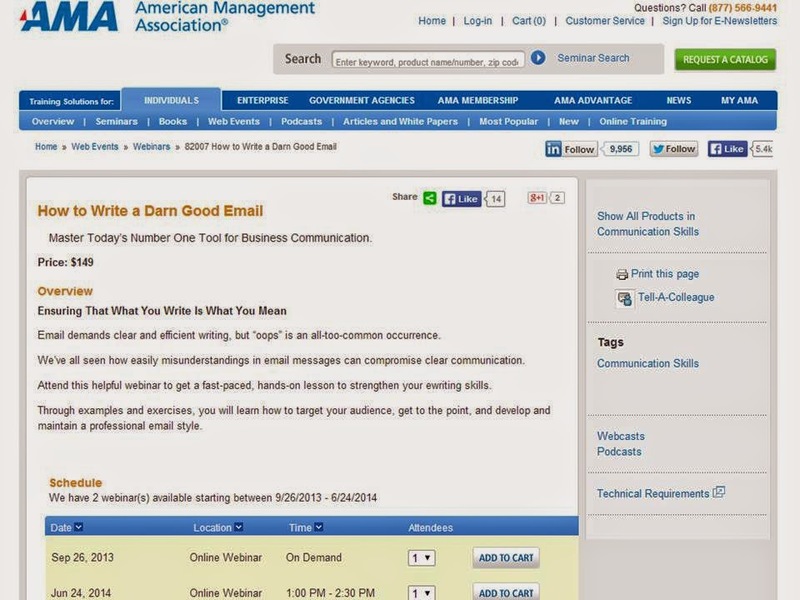 My webinar How to Write a Darn Good Email will run for the seventeenth time more than five years after it premiered for the American Management Association in 2009. It is scheduled for Tuesday, June 24 from 1:00 p.m. to 2:30 p.m. New York time. The webinar offers practical tips on writing to-the-point and tone-sensitive emails that apply in any business situation. Thousands of people who attended previous session of this interactive event have given it excellent reviews.